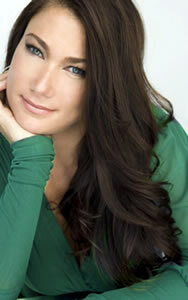 Kristin Kilmer Wellness developed from a life long journey of self-healing and spiritual study. Kristin received her formal, holistic training from the Institute for Integrative Nutrition, where she was educated in more than one hundred dietary theories, alternative medicine, timeless traditions, as well as practical lifestyle and coaching methods that also address the energetics and emotional aspects of food, healthy eating, and well being. Prior to that, yet after more than 15 years of intense study in many Eastern and Western methods including Pranic Healing, Energy Medicine, Neuro Linguistic Programming (NLP), and Emotional Freedom Technique EFT, Kristin became certified as a Clairvoyant and Energetic Medicine Practitioner through Clearsite Aura in Santa Monica and Psychic Horizons in San Francisco. This training truly honed her natural intuitive abilities, allowing her to see emotional and physical imbalances (including hormonal issues and food intolerances), blocks to healing and unconscious areas of genius within the client’s energy field, in order to help them achieve results more quickly. Drawing on this combined extensive knowledge of holistic nutrition, preventive health and intuitive counseling, Kristin creates a personalized, “mind-body-spirit” approach to wellness that suits each client’s unique “bio-individuality,” lifestyle, preferences, and goals. This leads to greater self-empowerment to facilitate lifestyle changes that produce lasting results and optimal health. Kristin is also the proprietor of Kristin Kilmer Design, Inc. a sustainable Interior Design Firm focusing non-toxicity and healthy living environments. She realizes that “Sanctuary Starts from Within” and Kristin Kilmer Wellness provides just that: the opportunity to create true health and inner peace from the inside out. Dr. Andrew Weil, Director of the Arizona Center for Integrative Medicine; Carolyn Myss, a world-renowned medical intuitive and New York Times best selling author; Dr. Deepak Chopra, expert in the field of mind-body medicine; Dr, Mark Hyman, international leader in the whole body approach of Functional Medicine; Dr. David Katz, Director of Yale University’s Prevention Research Center; Dr. Walter Willett, Chair of Nutrition at Harvard University; Dr. John Douillard, founder/director of the LifeSpa- Ayurvedic Retreat Center Geneen Roth, bestselling author and expert on emotional eating; and many other leading researchers, nutritional authorities, medical professionals, and eastern spiritual masters. Because of their inspiration and her deep faith, Kristin was able to heal herself naturally of Thyroid Disease, Polycystic Ovary Syndrome, Insulin Resistance, severe depression, addiction, and a myriad of digestive disorders. Once taking four different medications daily, she is now living a healthy, happy, and holistic lifestyle. Kristin Kilmer Wellness is committed to helping others heal themselves, as not only is natural healing possible, it is our birthright.